Jobs at Narayana Hrudayalaya Ltd - Jobs Vibhaga - Dedicated job portal for unemployed job seekers. Narayana Hrudayalaya Limited is headquartered in Bangalore, India and operate a national network of hospitals in India with a particularly strong presence in the southern state of Karnataka and eastern India, as well as an emerging presence in western and central India. Our first facility was established in Bengaluru with approximately 225 operational beds and we have since grown to 23 hospitals, 7 heart centers and a network of primary care facilities across India and 1 hospital in the Cayman Islands with 5347 operational beds through a combination of greenfield projects and acquisitions and potential to reach a capacity of over 6,600 beds as on 1st May16. 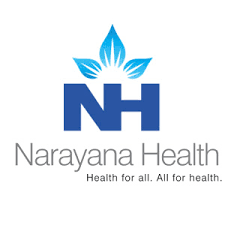 We believe our Narayana Health brand is strongly associated with our mission to deliver high quality and affordable healthcare services to the broader population by leveraging our economies of scale, skilled doctors and efficient business model.